Sperian serves the global Personal Protective Equipment (PPE) industry with a range of innovative products adapted for use in high-risk manufacturing and services environments. 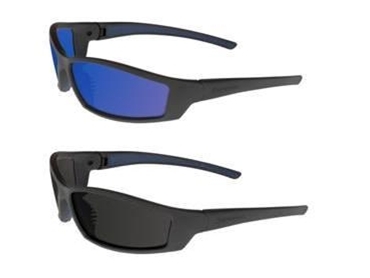 Sperian adds the new SolarPro to its existing safety eyewear line. A premium line of safety eyewear, the Sperian SolarPro features a sleek modern design and high performance lens options as well as coatings to provide wearers with superior protection and coverage. The new range of safety eyewear comes with a sport-inspired wraparound and 100% dielectric design to provide close-up facial protection. The Sperian SolarPro delivers superior peripheral and side vision as well as coverage in environments where protection from the sun is crucial to performance. In the outdoor environment, the Sperian SolarPro eliminates glare and visual distortion magnified by flat surfaces such as roads, steel structures and concrete with a polarised lens option. Lens coatings available for the safety eyewear include Supra-dura and Dura-streme as well as anti-fog and hard coat lens coatings. These coatings offer additional protection and extend the life of the lens. The Supra-dura is a high performance anti-scratch coating, which is permanently bonded to the lens and provides up to five times more lens life than other hard coat lens coatings on the market. The Dura-streme lens coating combines a Sperian anti-fog coating on the inside of the lens with a Sperian hard coat on the outside, providing up to three times more lens life than standard anti-fog coatings on the market. Sperian SolarPro safety eyewear is certified to AS/NZS 1337 for Medium Impact Protection.